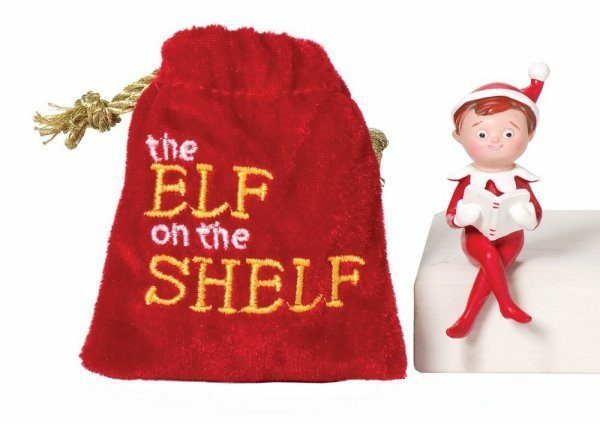 Mini Elf On A Shelf Only $7.49 + FREE Prime Shipping! You are here: Home / Great Deals / Amazon Deals / Mini Elf On A Shelf Only $7.49 + FREE Prime Shipping! Elf on a Shelf is a popular Christmas tradition, and right now you can get a Mini Elf on a Shelf for just $7.49 + FREE shipping with Amazon Prime or Super Saver Shipping! This is an inexpensive way to start this tradition with your kids or to give your kid something they can play with while making sure to not touch their bigger elf friend! Miniature sized elf figurine sits perfectly on a shelf. He measures approx. 2 1/2 inches. Made of hand-painted, sculpted resin. Comes in it’s own velvety, keepsake drawstring bag.